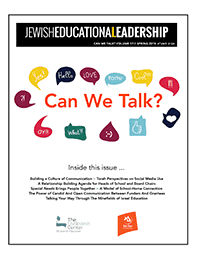 The following are some quick ideas and thoughts to aid in the teaching of the Knesset and Israeli political life in light of the upcoming Knesset elections. Prerequisite: Prior to beginning, it is important that the students learn about each individual party. Most of the main parties have web sites or other information about the party available in English. A source sheet about each party should be compiled and given to each student. If you choose an idea (see below) where a student must represent a party, additional information could be made available to the student to better understand the party. Current Events – It always struck me that current Israeli politics is really Jewish history, albeit very modern Jewish History. Yet, most students in day schools could not name more than the current prime minister and his party of affiliation (if that). I always thought it was silly that there was little attention given to current events (taught in a meaningful manner, not just mentioned – but understood in a real way) in Israel. You have everything you could ever want to teach the material – a tremendous amount of source material, as much audio and visual aid as you desire, daily updates and a chance for the students to think meaningfully about what direction Jewish history should take. I understand the value of teaching actual Jewish history (and I would never argue that this should replace such a course) but I do think that if the student’s interest is piqued about current Israeli history, it will have an effect in how they learn and respond to material about the past. Initial Stage – students debate among themselves where they feel the money should go based upon their opinions, current knowledge and value system. Intermediate Stage – Once the students understand the political system, assign each student a party and have them represent the interests according to “their party’s” philosophy. (You could even call the students by the names of the party leaders so that they begin to learn the important players). Advanced Stage – Have the students then understand that even after one understands the positions of the various parties on all the “hot button” issues, there are additional considerations such as leverage, threatening to break the coalition, bringing down the government, no confidence votes, personal pride issues, fear of government falling, following party lines,relations with the U.S. government etc. Single Issue– Have a Knesset debate about ONE of the hot button issues mentioned above. Have “expert” witnesses come in and testify as to the state of facts, formulate how “your” party (the party to which each group is assigned) would react to the proposed Knesset action. Instead of the budgeting game, this would use one issue as a microcosm of how to understand the Knesset. I would start out with the peace process. If successful, upon completion (this would take months to play itself out, not days or weeks) an additional issue could be used – like the religious/secular divide. This could also be made into a year long program, where students are assigned parties, make presentations to the rest of the class about “what they stand for”, argue about the correct diplomatic and/or military response should be, have cabinet meetings, Knesset votes, cabinet meetings, kitchen cabinet meetings etc. Current events should be an integral part of class. Knesset in History– This would be a monumental task in America – but Israel is such a young State that starting from its beginning could give students perspective that would make the current parties/state of affairs easier to understand and “stick” more in their minds. Once you understand the early years of Labor, Begin’s defeat of Labor etc., current Israeli politics becomes even more understandable. You could either teach this in the “normal” way one teaches history, or weave one issue (like the security issue) throughout the political history of the State (i.e. Sharon was once a member of a Dovish party, Begin bombed Iraq, national unity government days before the Six Day War etc.). Coalition Building– Once the students learn about all the parties and the major players, an activity of coalition building could be played. The premise is to mimic the infamous wheeling and dealing that occurs immediately following the general elections and preceding the establishment of a government. This could be played in many different ways, but perhaps the best would be the teacher being the prime minister and the students would be the parties that the prime minister would have to woo. Election results could mirror the actual results from the election or could be rigged to make the process of establishing a government more difficult. Let’s assume that Sharon wins the elections, should he establish a far right government, centrist government, national unity government – what are the assumptions and implications of each? I am the Prime Minister– This activity/game could be very interesting and would be as successful as the teacher is creative. The premise is that the class is the Prime Minister in an ongoing teaching exercise. The exercise could begin now (assuming you want to bet on the favored candidate winning the elections) and would have to make decisions about campaigning strategy, coalition building, choosing ministers and then managing the government, managing crisis etc. This activity is like the single-issue idea mentioned above, except that it focuses on a single individual. There is a lot of potential here – there are several books in English on Sharon, so the students could read select chapters about him and really “get to know him”. They could learn so much about the government and the give and take of Israeli politics (should Sharon keep Netanyahu at a distance or bring him close, should he try to form a coalition government, even if unnecessary, should he bring in the religious parties? at what cost? should his son continue to act as an advisor, how does his personal history affect his decision making? How about the legacy that he chooses to bequeath?) There is a fascinating article in the recent Azure that gives a very detailed account of the weeks leading up to the Six Day War and the maneuverings of then Prime Minister Eshkol – such reading would give the students great insight into what a Prime Ministers job is like during a crisis. Again, the source material is endless. Constitution Building and the Supreme Court– This may be too advanced for anyone except perhaps high school juniors or seniors – but it could be a fascinating project. Israel has a series of basic laws that have quasi constitutional status, an aggressive activist Supreme Court and some murmuring about finally getting serious and developing on a Constitution. Perhaps in conjunction with a course or project about the American Constitution, have the students write a constitution for the State of Israel. This would be a wonderful senior elective course – that could use the US Constitution and the Federalist papers as a springboard to think about constitution writing and then try to use those lessons for Israel’s constitution. This may sound too advanced, but it could be done with the right class.